This beautiful winery in the hills above Solvang on 48 acres in recent years featured a husband and wife winemaking team, John and Helen Falcone. The wines improved dramatically since they took over the reigns in 2001. In early 2013, Steven Gerbac took over as winemaker. He had been with Ballard Canyon Winery for ten years working his way up to assistant winemaker and also had worked at both Whitcraft Winery and Brander Vineyards. Gerbac will also oversee winemaking for the Santa Catalina Island Vineyards project, a collection of wines under the Rusack brand umbrella that are grown on Santa Catalina Island. The tasting room and adjoining picnic area is located at 1819 Ballard Canyon Road (see website for directions) and is open daily from 11-4. There are three Pinot Noirs from purchased fruit in the Santa Rita Hills and Santa Maria Valley: Santa Barbara County, Santa Rita Hills, and Reserve. The Reserve is particularly notable. The winery produces multiple other varietals including Rhone-inspired wines, Sangiovese, Sauvignon Blanc, a Bordeaux-style blend and Chardonnay. 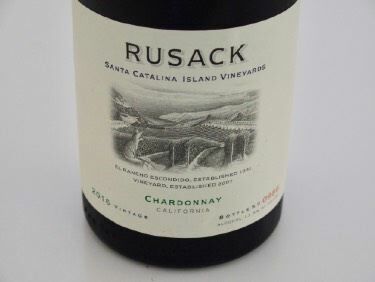 Rusack wines are sold through the website and are sensibly priced. 805-688-1278. Production is about 7,500 cases annually.